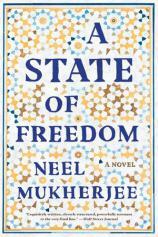 The characters in Neel Mukherjee’s new novel, A STATE OF FREEDOM, face separation and dislocation in stories that are distinct and measured by the individual fate and circumstances, but they are all connected. Part I reveals a father taking his son to tour the treasures of India, and he takes us through the last few hours of their trip together. 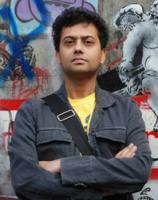 Part II concerns a son living in London who returns to his family in India once a year. He is a writer and gourmand, his newest book will be about breakfasts, and he very much enjoys tasting and critiquing the rich foods of his culture. He becomes oddly, awkwardly friendly with the cook at his mother’s home, asking questions that cannot have answers, and then we learn something about Milly. "Each page of this heartbreakingly beautiful novel contains lines that reveal poverty far beyond grinding, pain far beyond healing, uncertainty far beyond our knowing. And yet they endure." Part III opens with Lakshman’s discovery of a small creature. Maybe it will grow into a dog, maybe something else. A bear. Lakshman’s training of the growing cub, Rahu, is painful, expensive and very lengthy. Although the perils of taking a bear “on the road” to earn money were extraordinarily high, Lakshman goes ahead. His story ends as he is hopelessly destitute, far from the huge family that depend on him. Part IV is told incrementally. First, Milly’s older brother, Budhuwa, is mutilated as she watches, and then, because there are so many in her family, Milly is sent away to become a maid in a rich family’s home. She is eight years old, and it takes many hours for her to comprehend what leaving means. There will be no more school, studying, books or family members. Three of her siblings were too young to understand, and the faces of the other two looked small when their mother told them. As she boards the bus, she begins to cry “not as a child cries, with its innocent and skinless complaint against the world,” but with the understanding of an adult. Another young girl, Soni, is Milly’s friend, and she escapes from abusers in the forest near their home. However, her younger sister is captured and viciously raped. When Didi crawls home unable to walk, she was a stone. She learned to walk again, over time, but her smile never returned. She tried, but since there was no light in her eyes, it was a continual failure, only a “half-hearted” rehearsal. Soni remembers this night months later, when she is recruited to join the Party and becomes a guerilla. Milly and Soni meet nine years later; Milly has returned from Mumbai for a family visit, and Soni comes to her house. They stand beside the Baniya River and assess what they mean to each other. “They were still strangers…and she didn’t know if their shared past was going to be like a change of weather they could easily slip into.” Milly and Soni discover that their early childhood ties are strong, but each young woman has been put into another orbit of life. The threads of poverty, loss, anxiety and mistreatment are strong in A STATE OF FREEDOM. Each page of this heartbreakingly beautiful novel contains lines that reveal poverty far beyond grinding, pain far beyond healing, uncertainty far beyond our knowing. And yet they endure.